Cuncong Zhong (2007-2013), Ph.D. 2013, Final Defense: Summer 2013, Dissertation Title: "Computational methods for comparative non-coding RNA analysis: from structural motif identification to genome-wide functional classification" (2013-14 College Outstanding Dissertation Award), From September 2013 Post Doctoral Fellow at the J. Craig Venter Institute, Now an Assistant Professor at the Universtiy of Kansas. Ping Ge (2012-2016), Ph.D. 2016, Final Defense: Spring 2016, Dissertation Title: "Computational Methods for Comparative Non-coding RNA Analysis: from Secondary Structures to Tertiary Structures"; First Job: Scientist at Advanced Cell Diagnostics. Gene Sher (2013-2017), Ph.D. 2017 (Co-Chair: Damian Dechev), Final Defense: Summer 2017, Dissertation Title: "Data Representation in Machine Learning Methods with its Application to Compilation Optimization and Epitope Prediction"; First Job: SMART Fellowship. Travis Meade (2014-2017), Ph.D. 2017 (Co-Chair: Yier Jin), Final Defense: Fall 2017, Dissertation Title: "Novel Computational Methods for Integrated Circuit Reverse Engineering"; First Job: UCF, Lecturer. UCF CS PhD applicants to my group should have strong algorithm development and programming skills (C/C++/Java and Perl/Python) and strong interest in biology. But no biology knowledge is required. We are interested in solving biological problems through algorithmic approaches. Please apply for admission first and indicate you are interested in my research in your statement. 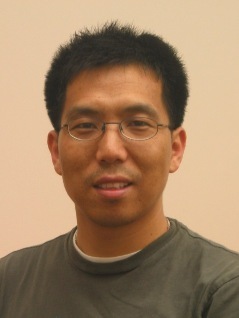 Please get in touch by sending email to shzhang at cs.ucf.edu after getting admitted by the UCF CS PhD program. Peter Tonner, Vinodh Srinivasasainagendra, Shaojie Zhang* and Degui Zhi*, "Detecting transcription of ribosomal protein pseudogenes in diverse human tissues in RNA-seq data", BMC Genomics, 13:412, 2012. Full text, (Highly Accessed). Shaojie Zhang* and Cuncong Zhong, "Computational tools for RNA structural motif identification", Biotech International, Vol 22, page 6-9, Nov. 2010. Full text (featured article). Wen Zhang, Shaojie Zhang, Haixu Tang and Dafu Ding, "Reverse-Translated Alignment of EST Sequence with Protein Sequence", Acta. Biophysica Sinica, 16(2) page 322-333, 2000.